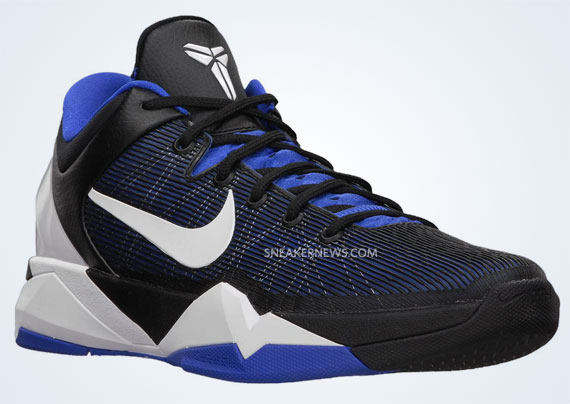 Now that we’ve broken open the upcoming release schedule of the Nike Zoom Kobe VII as well as the Nike LeBron 9, you can sit back and get some planning done. 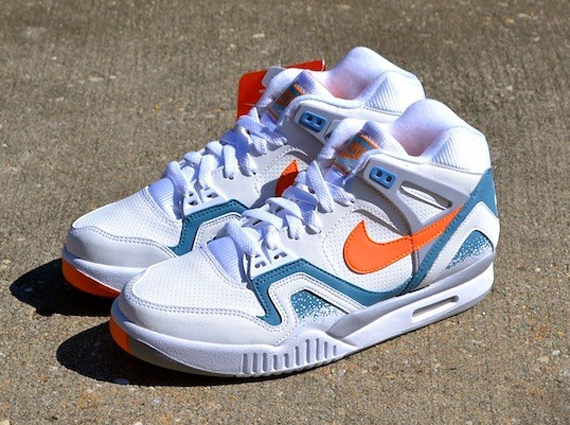 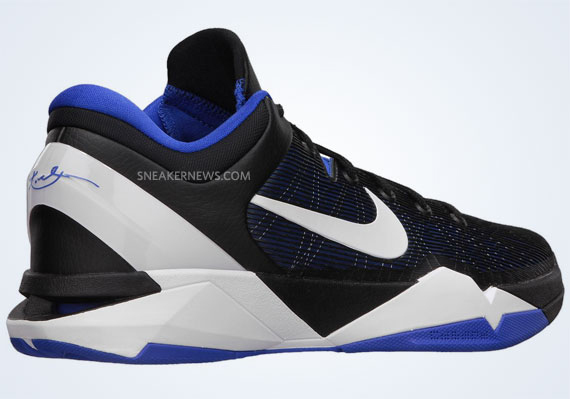 Grab your calender, take a look at your funds, do what you’ve gotta do because Nike Basketball is really turning the faucet on for the next couple of months. Sliding in amongst all the animal-themed releases (Dragons, and wolves, and sharks, oh my!) 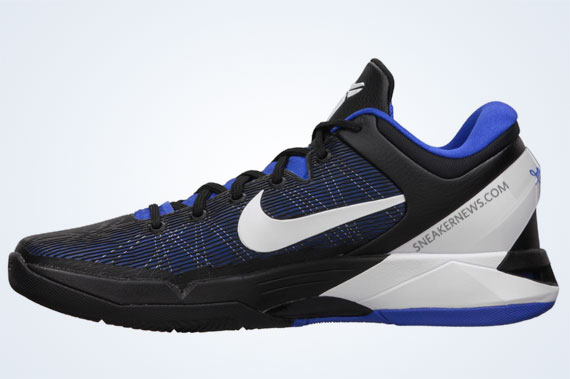 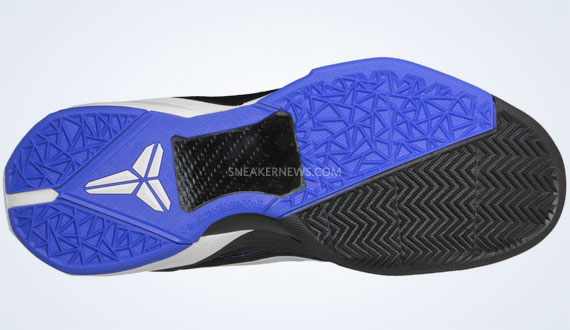 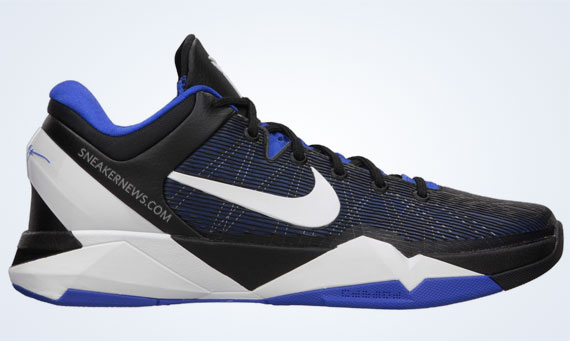 is this TB colorway with a Duke feel, a recurring theme for the Kobe sig’s throughout the years. 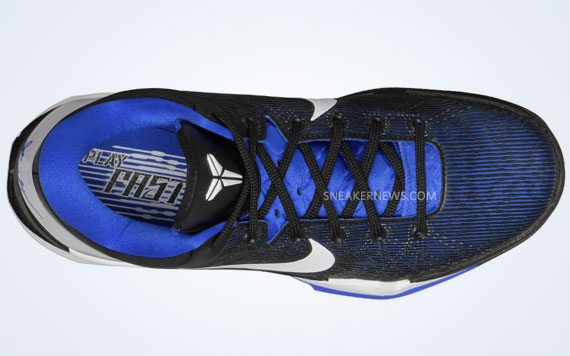 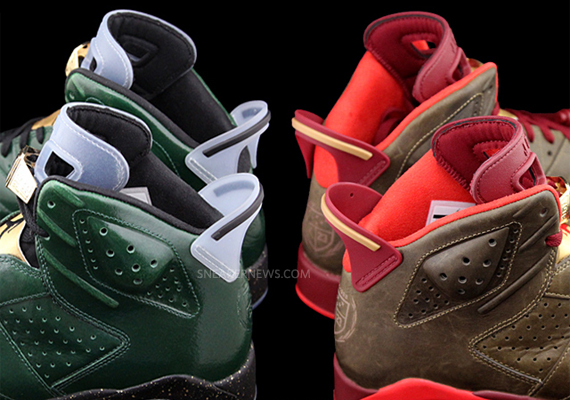 Follow us after the jump for a better look at the Nike Zoom Kobe VII ‘Duke’ and stay tuned with Sneaker News for more looks leading up to this March release.